KawaiiPunk - Kawaii Mascot Blog: Gravelly Gargoyle! Yes, you’ve guessed it, in a gesture to address this imbalance I have created an artwork especially for you. 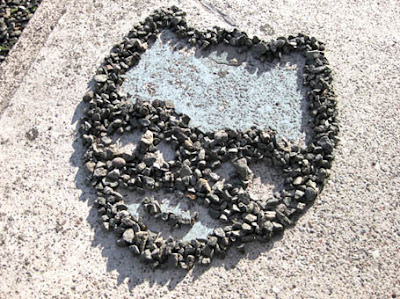 It’s a picture of yourself made from gravel - a very fitting medium for such a stone faced fellow as yourself! Anyway, I hope you enjoy this gravelly artwork, and I also hope to hear a lot more from you in the future. Although, I have to admit, I’m not entirely sure what a Gargoyle could write about for a kawaii blog! Is there such a thing as cute medieval architecture?